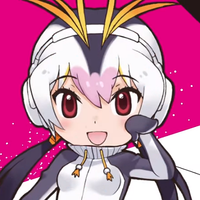 PPP ("Penguins Performance Project"), the voice unit consisting of the five penguin characters from Kemono Friends, is gearing up for the official release of its debut album, and now penguin fans have a chance to preview the music prior to its Japanese release date on World Penguin Day (April 25, 2018). The album is entitled PPP In The Sky. 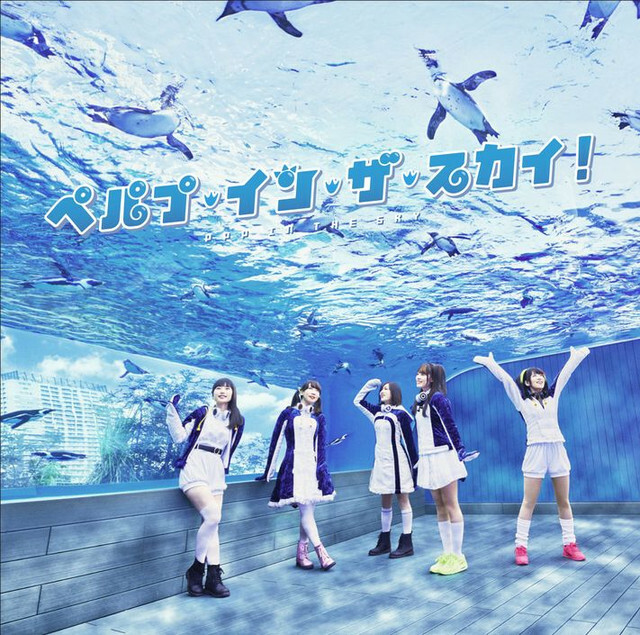 PPP consists of Royal Penguin (CV: Mikoi Sasaki), Emperor Penguin (CV: Ruka Nemoto), Gentoo Penguin (CV: Kyouka Tamura), Rockhopper Penguin (CV: Aina Aiba), and Humboldt Penguin (CV: Ikuko Chikuta) as well as their manager, Margay (CV: Mami Yamashita). 01.) "Oozora Dreamer" ("Big Sky Dreamer") by PPP. 02.) 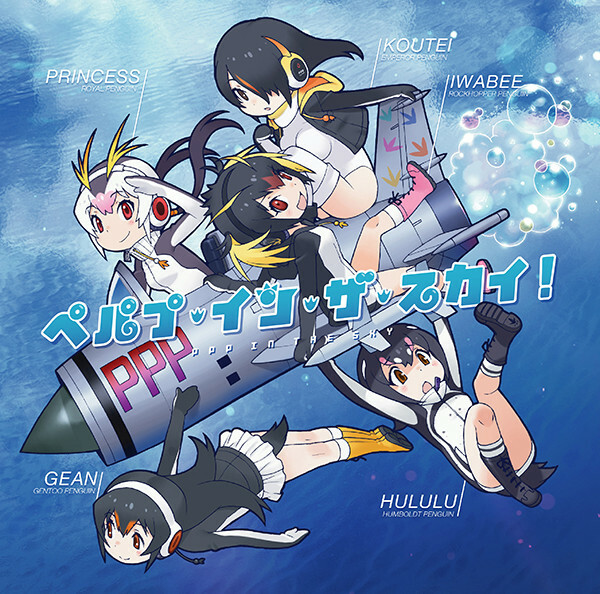 "Youkoso Japari Park e" ("Welcome to Japari Park) by PPP with Margay. 03.) "Junjou Flipper" ("Innocent Flipper") by PPP. 04.) "Yumemiru Princess" ("Dreaming Princess") by Royal Penguin. 05.) 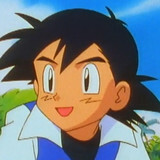 "Hello! Idol" by Gentoo Penguin. 06.) "Rockin’ Hoppin’ Jumpin’" by Rockhopper Penguin. 07.) "200 Kilo no Tabi" ("200km Journey") by Emperor Penguin. 08.) "Yakusoku no Uta" ("Promised Song") by Humboldt Penguin. 09.) "First Penguin" by PPP. 10.) "Watashi-tachi no Story" ("Our Story") by PPP. 11.) "Tairiku Messenger" ("Continental Messenger") by PPP. Bonus Track: "Hito ni Yasashiku" ("Be Kind to People") by PPP. The PPP In The Sky album will be published in both a regular edition and a special edition format. The regular edition retails for 2800 yen ($26.10 US) plus tax, while the special edition retails for 3300 yen ($30.77 US) plus tax and comes packaged with a bonus CD.